Ancaster & Ancaster FairRecord Owner? Log in. Pop. 33,232. In the Reg. Mun. of Hamilton- Wentworth on Hwy 403, 8 km W of Hamilton. In 1790 Jean-Baptiste Rousseaux and James Wilson settled the site, and Wilson built a mill. The place was called Wilson's Mills until 1794 when Rousseaux bought the mill. 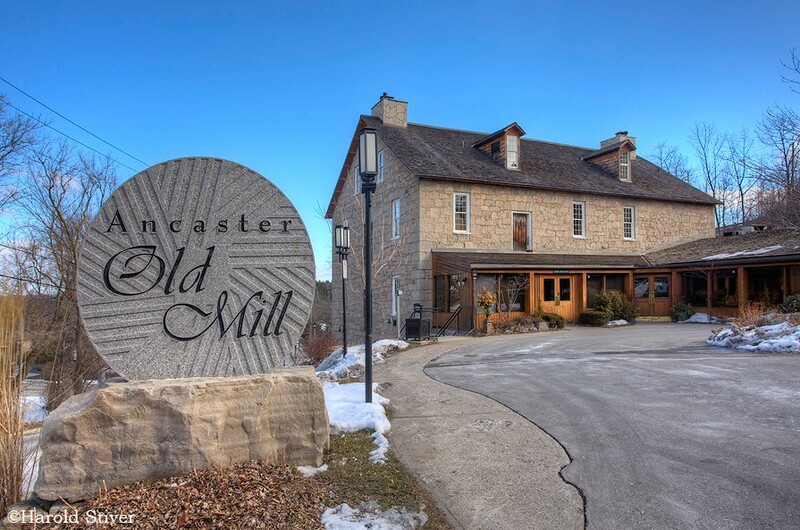 Around 1800 Rousseaux Mills, as it had come to be known, was named Ancaster after a village in Lincolnshire, England. In 1814, 19 men charged with treason during the War of 1812 stood trial in George Rousseaux's log hotel. Fifteen were convicted and eight were hanged, drawn, and quartered at nearby Burlington Heights. The remainder were exiled. The trial is known as 'The Bloody Assize' of Ancaster. Have something to say about Ancaster & Ancaster Fair?